In the last edition of the MDVA e-newsletter, you learned about the activities of the Outreach and Advocacy program. Charlotte Hall Veterans Home also has outreach staff who go to senior centers, community meetings and other events to talk with veterans and family members about admission to Charlotte Hall. 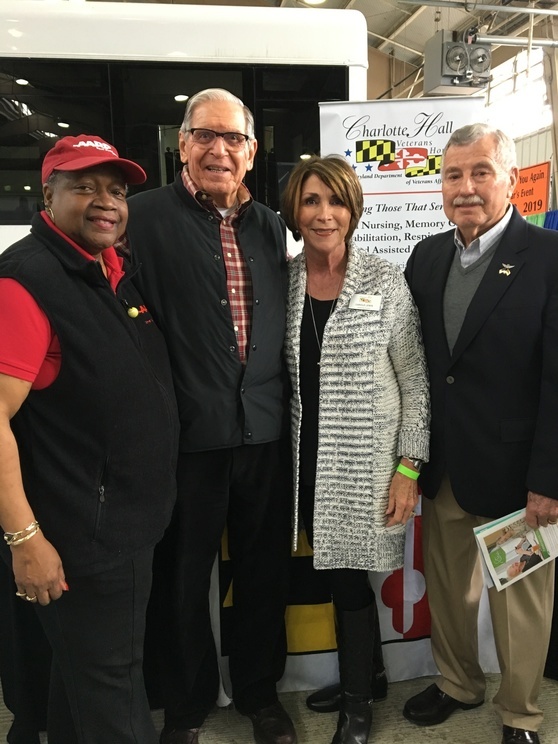 The photo below was taken at the Carroll County Seniors on the Go Expo 2018 held on April 4th. Carole Lewis, who is the Director of Marketing at Charlotte Hall spoke with many veterans and spouses about the benefits of residing at Charlotte Hall Veterans Home. 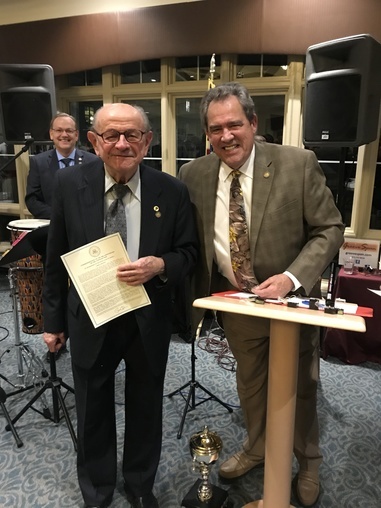 Mr. William Radosevic of Dunkirk is pinned with Vietnam Veteran Lapel Pin by MDVA Secretary George Owings at the recent Annual Gala of the Calvert County Chamber of Commerce. More Information about the 50th Commemoration of the Vietnam War. You may find more information on legislation by visiting the Maryland General Assembly website.